Apart from us making some of the best halloween costumes in the Philippines for kids, adult and people, we respect the rights of animals to have fun too and enjoy life. In our mission and view that they too deserve the special treatment that people ought to give them especially their owners, we want to let pet owners know that we also make customized pet costumes. Your pet cold be a dog, cat, or any pet you want us to dress up especially these days where dogs get to join the yearly Halloween parties in malls like SM Mall branches all over the Philippines. Left and right, malls do celebrate this yearly event to make the day feel and smell like a true spooky day or evening. For schedules of SM Malls and other malls Halloween costume contests, please see our “Events” section in the sidebar. Imagine how good your dog or cat will look if we will be the one to dress them up for you. Well, in case you don’t know it yet, for every costume contest, you or your pet could win instant cash prizes to take home and loots for being the most spooky costumed pet. 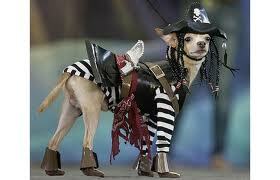 So why trust your pet’s costume to just anybody? We’ve got great artists to do just whatever concept you have and turn it into reality. We also offer our own costume ideas for free for 2 revisions. For more information, go visit our “FREE QUOTES” section above or below (just click the image) to ask for a free estimate of that custom pet costume. You can also contact us using the contact page above. This entry was posted in Events, Halloween, Pet and tagged cat costume, costume ideas, dog costume, pet costume, sketches. Bookmark the permalink.